You and your student have completed the FAFSA on time and your student met all their deadlines. Then, an unexpected situation happens that will have a significant impact on your family’s financial circumstances. Now you’re looking at their financial aid offers and wondering how you can make this work. The FAFSA is an attempt to put every American family on a level playing field in an effort to award aid fairly. 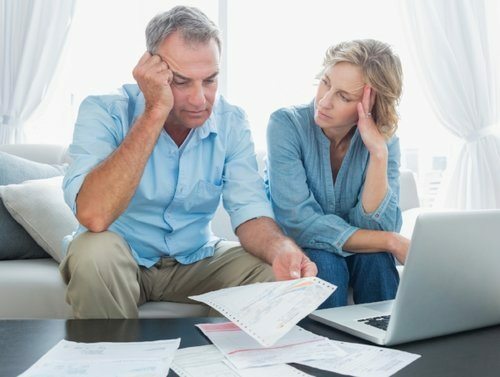 However, there are often unique financial circumstances that are not accounted for. Perhaps there was a job loss or a job transition that has resulted in much lower family income than what is reflected on the tax returns used for filing the FAFSA. Or perhaps there are large medical bills that have significantly impacted your finances, or a catastrophic loss of home and property through a natural disaster. How do you communicate this important information and to whom do you send it? Rest assured, someone is out there to listen to you, but knowing what to tell them and who to tell will be the key to being heard. Financial Aid Administrators (FAA’s) at individual colleges have the authority to make “professional judgment” changes to information on the FAFSA, and adjust your Expected Family Contribution (EFC). They are the only ones who may make these changes and they may only do so with proper documentation from you. While colleges will not prepare a package for a student until they are accepted, most will have a system that allows them to make notes regarding particular situations, pending the student’s acceptance. When first filing the FAFSA, simply answer the questions exactly as indicated. Give them what they ask for and only what they ask for. Then, once the requisite application forms are complete, write a letter documenting your individual situation using precise dollar amounts and dates, where applicable. Some colleges will have forms in the financial aid area that you can print out to assist you with this process. Let’s look at a typical scenario and how to handle it with the college or university you will be attending. Note that while we focus on this as a freshman scenario, the process you follow is the same, even if your student is heading into their senior year. This same process can be replicated either before or after acceptance of the financial aid offer. The Brown family completed their FAFSA for 2018 based on their 2017 data. This shaped the financial aid package their student qualified for during her 2018-19 freshman year, which they accepted. Then during the summer, just a few weeks prior to the start of fall semester, both parents lost their jobs, resulting in a significant loss of income. While one parent decided to focus on finding a new position while collecting unemployment, the other parent decided to start a new business out of their home. Obviously, their current financial situation is wildly different from the financial picture the college had compiled, and a bit more complicated to accurately project. The Browns immediately contacted the financial aid office to find out what, if anything, could be done to improve upon the package they had already accepted. Financial aid administrators can use professional judgment to modify the Expected Family Contribution (EFC). Typically, each college will have forms you will need to fill out. You will be required to provide detailed information that supports and corroborates your claim, and your projected income. Depending on the college or university, there may even be a review committee that has to give final approval. In other words, do not expect that you’ll wrap things up with a quick call. It’s a process, but with due diligence, you will hopefully qualify for a much bigger financial aid package than you did initially. Looking for more secrets on negotiating your financial aid offer? Get our free download which includes a sample financial aid appeal letter.